It was a memorable evening with a mega gathering for a meaningfully different reason. It was not just another book launch with ego-boosting speeches about the author. It was also not an event where a popular politician coming late and preaching about economic expansions or development directions. 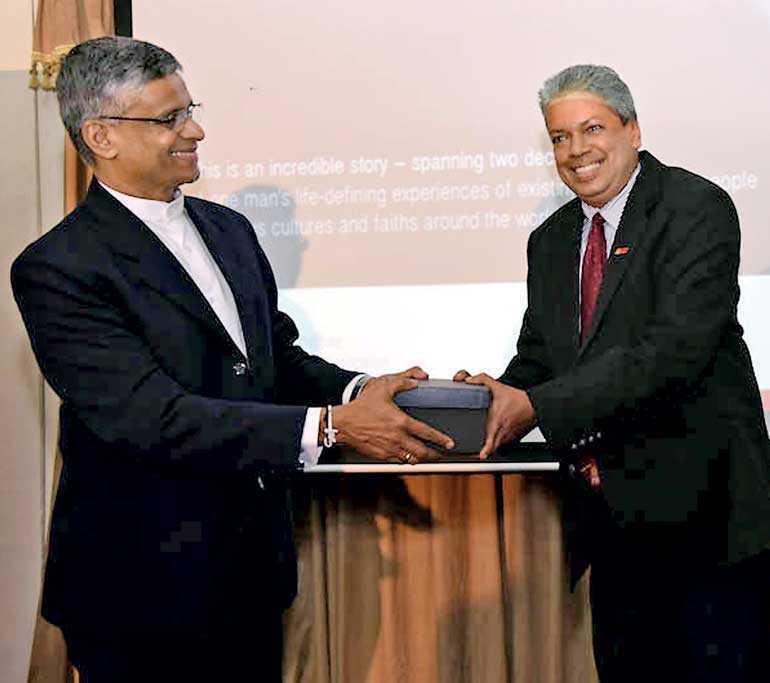 Perhaps, the first of its kind happened in Sri Lanka where an inter-religious, intellectual, insightful and interactional experience took place based on a brilliant book titled ‘Living Together’. Today’s column is a sharing of the essence of that engaged evening happened at the Postgraduate Institute of Management (PIM) with the ample presence of preachers and professionals alike. Scientists say that the universe is over 13.8 billion years old. A human being may life maximum up to 100 years except for a few occasionally exceeding individuals. In essence, we are “spiritual beings” having a “human” existence. We would have been an energy form before we were born and we might again be another energy form after we pass away. Multiple religions have multiple interpretations of what happens during pre-birth, live and post-death. The fact remains that it should be something common where different “labelling” give different meaning to perhaps the same reality. Spirituality is different to being religious. You can devotedly visit all the religious places in the world but if you do not demonstrate values in your action, you are not spiritual yet. Being spiritual is essentially maintaining three connections. They are: connecting to self, to others and to the universe (higher being). In moving beyond religious boundaries towards having a meaningful dialogue about you and others can provide multiple benefits. It will make you to be a better practitioner of your own religion at the same time, to be a better perceiver of what the other’s religion is all about. Such an approach is only possible with one being humane in respecting others and understanding the similarities as well as differences. Sad to see how badly we lack this empathic approach in the modern-day society where the superiority and dominance have paved way for confusions leading to conflicts. In such a context, having an engaging dialogue among practitioners of different religions who are like minded in moving beyond the “ritualistic rivalry” towards an “enriching encounter of truth” as a caring community is of utmost importance. 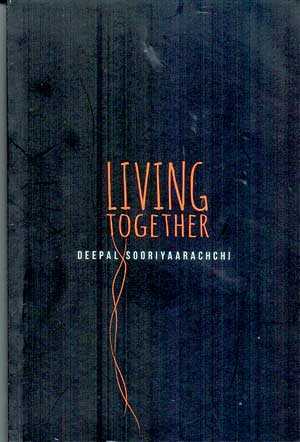 Deepal Sooriyaarachchi has captured a collection of his authentic experiences of being a partner of an inter-religious dialogue. ‘Living Together’ is the apt title given to that volume of valued thought sharing. Ven. Olande Ananda was one of the members of the inter-religious dialogue that shaped the attitude and aptitude of many lives. ‘Living Together,’ in my view involves three inter-related interactions, viz. going together, growing together and glowing together. Deepal in his book has attempted to capture the evidences of all three engagements. A journey of a thousand miles starts with one step. The initiator of the inter-religious dialogue where Deepal was a member, was Reinhard Von Kirchbach (13 May 1913-20 March 1998). He was a pastor of the Lutheran Church in Germany. As Deepal observes, Reinhard would have felt that it was his inner calling to explore this particular idea of an inter-religious dialogue. He was influenced also greatly by the French philosopher, Jesuit priest Teilhard de Chardin, who promoted the idea that the evolution is a directional process where creation unfolds in cosmic changes. “With respect to the specifically religious domain and to “weltanschauung” (a comprehensive view of the world and human life) we are still at the start,” observes Reinhard. His noble initiative paved way for several key practitioners representing all major religions in getting together in search of true value of life. In fact, the fire ignited by Reinhard continues to ignite the inter-religious interaction. It has paved way not only to go and grow together, but to glow together as well. One may wonder how relevant the “living together dialogue” is for busy business executives. In fact, Deepal as a young business executive had join the group at the tender age of 24. It reminds me of what Jim Collins shared in his book, ‘Good to Great’. Great leaders demonstrate professional will and personal humility representing a strong value base. In current turbulent times, decision makers have to demonstrate synergy in uplifting ethical behaviour on all fronts. Moving beyond mere religious rituals towards a broad understanding of multi-faceted truth will undoubtedly shape managers, administrators and leaders alike as better human beings.